Students have the chance to hone their briefing writing and oral argument skills in the Appellate Writing and Advocacy course, offered each fall. 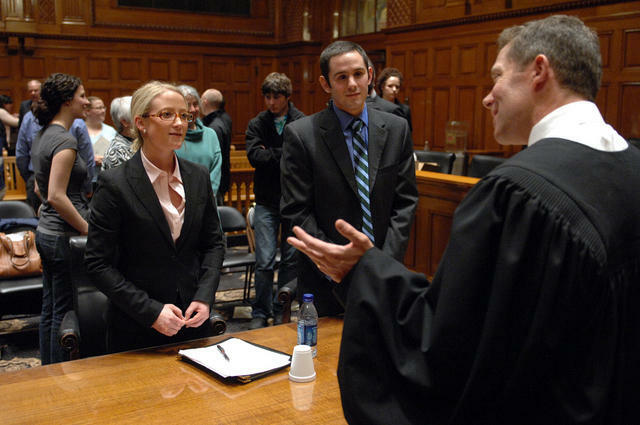 The course teaches students about how to handle an appeal from start to finish. Students in the course review a mock record, develop and research legal arguments, write briefs, and present oral arguments. Completion of the Appellate Writing and Advocacy course is a prerequisite to participation in other moot court competitions. At the end of the course, each student receives a ranking according to his or her grade on the brief and the oral argument, and that ranking (as well as satisfaction of any additional prerequisites) determines the student's eligibility to participate in the Marquette University Law School Jenkins Honors Intramural Moot Court Competition in the spring semester.